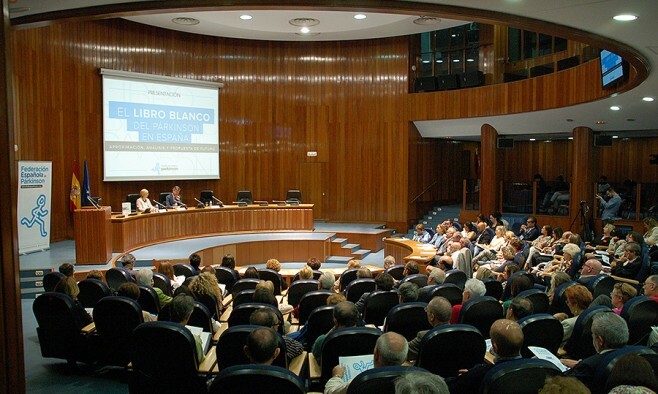 Two years after meeting with healthcare professionals and industry representatives, the Spanish Parkinson Federation has officially unveiled the ‘White Book’ – an evidence-based publication to guide decision-making in Spain. Developed with support from the European Parkinson’s Disease Association (EPDA) under its STRONG initiative, the publication signifies an important step in the development of the Spanish group in terms of its awareness-raising activities. Over the last two years, the Spanish organisation has been gathering evidence to put forward a new ‘approach, analysis and proposal’ to tackle Parkinson’s in the future and influence decision makers. The result of that meeting is compiled in what is being called the ‘White Book of Parkinson’s in Spain’ (El Libro Blanco del Párkinson en España). The book will primarily be used to engage with national policymakers and highlight the changes that are necessary to improve the care of people living with Parkinson’s throughout Spain, ensuring they get access to the right treatment at the right time. María Gálvez Sierra, director of the Spanish Parkinson Federation, said: “The launch of the ‘White Book’ is an important step for us towards the creation of new policies and strategies to improve the situation of 160,000 families who are living with Parkinson’s disease in our country. The official launch took place on 16 June at the Ministry of Health in Madrid, and the book is available online in Spanish here.